•	View current Islamic & Gregorian Calendar dates! •	View a list of Islamic Events for any Year, Hijri date on App Icon, Moon phase for current date! •	Hijri calendar correction setting allows you to correct hijri dates! 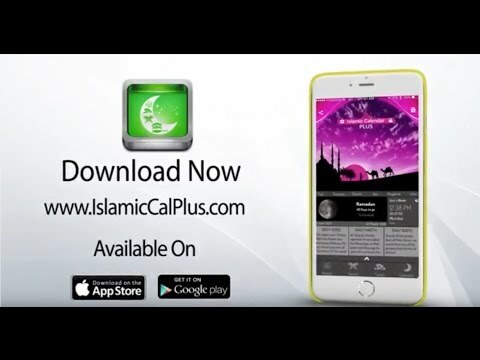 •	Quran Recitations - Download in 3 Languages: Arabic, English, Urdu (Requires pro upgrade)! •	Dua's Audio and 99 Names Recitation Audio (Requires pro upgrade)! •	5 Beautiful Islamic Calendar Themes to select from (Requires pro upgrade)! •	Quran Verse of the Day - Shows you a random verse from the Glorious Quran every day. The app includes over 300+ Ayahs carefully selected and included in the app to give your day a great start. You can also set reminders to get the daily notification at a time you want. •	Hadith of the Day - Shows you a random hadith from over 200+ hadiths carefully selected and included in the app from the books of Bukhari, Muslim, Dawood, Tirmidhi etc. You can also set reminders to get the daily notification at a time you want. •	Islamic Quote of the Day - Shows you a random quote from over 200+ quotes carefully selected and included in the app. You can also set reminders to get the daily notification at a time you want. •	Universal App - Works with phones and tablets!